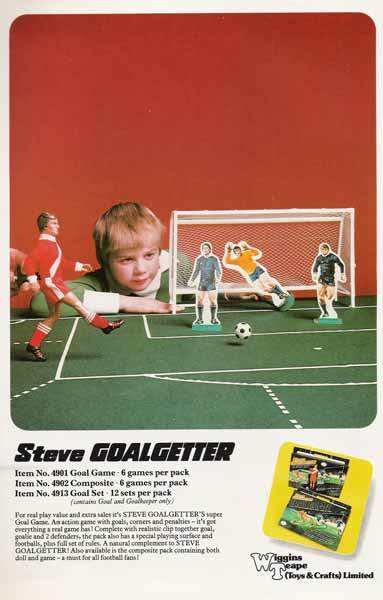 "STEVE GOALGETTER is all set to become the best selling player in the country" proclaimed the Catalog Copy. 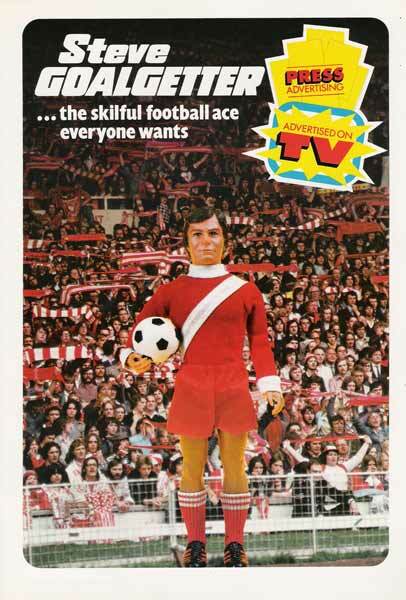 This innovative figure was a UK spin on the German produced Franz Beckenbauer release but with more of a generic feel. 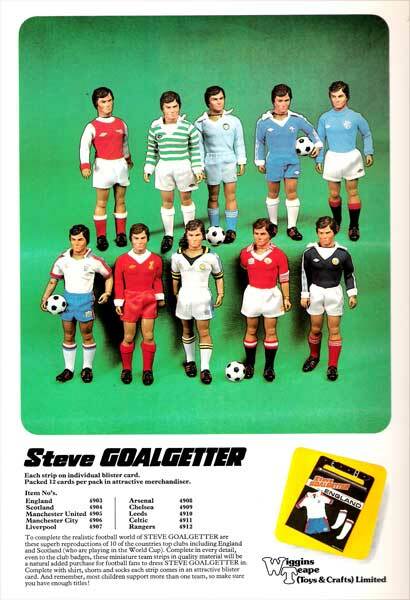 You could dress your Steve GoalGetter up in superb reproductions of 10 of the countries top clubs. It's noted England and Scotland are included because they were in that years World cup. Timing is everything. According to the catalog, the outfits are England, Scotland, Manchester United, Manchester City, Liverpool, Arsenal, Chelsea, Leeds, Celtic, and Rangers. A full set of carded outfits has never been seen. 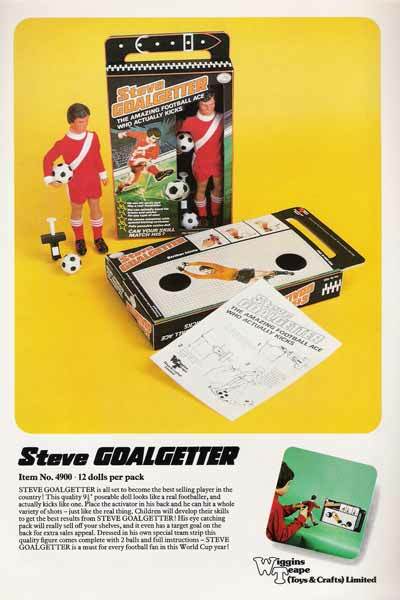 The Steve GoalGetter Goal Game came by itself or in a deluxe package which included the man itself. It's hard to know if this set was ever released given the rarity of the line.